I like cake. A lot. You know how you can sometimes become a bit merry on wine or cocktails (which I do)? Well, I get cake-faced, from the sugar-rush unique to devouring A Lot of Cake. So when the fabulous Blogger, Little Ellie Mae, organised a cupcake decorating class for this month’s Plymouth blogging network (#PlymouthBlogMeet), I was definitely in. And what a great afternoon was had at Mrs Brown’s, located just off North Hill in Plymouth. Georgie and Jemma patiently guided us through rose-decorating four cupcakes, which, thankfully, they had baked, as I am dire at baking. Over a relaxing two hours we enjoyed chatting, tea-drinking, Victoria-sponge-cake-eating (chuffing yum!) 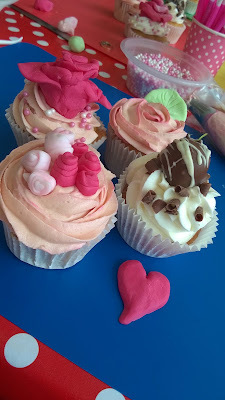 and learned how to pipe rose-style frosting onto our cakes, and create rose petals as cupcake centre-pieces. (Don't worry; Georgie only had her arms folded to stop herself joining in with decorating cakes - she is very friendly). Whaddya think? Should I give up the blogging? 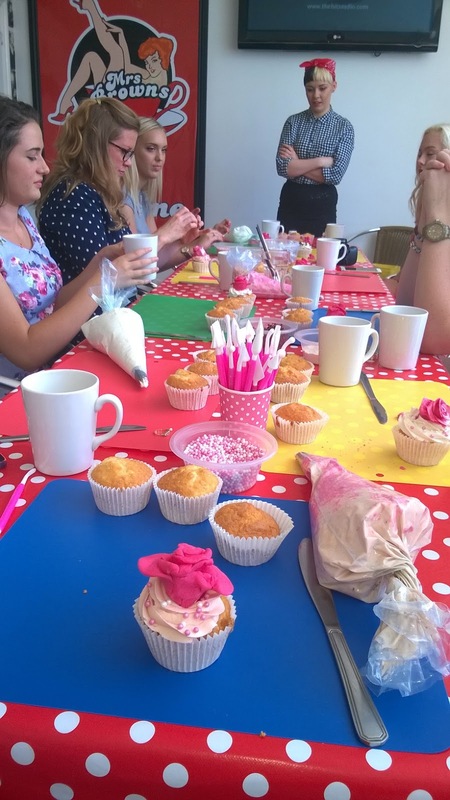 From the friendly and relaxed setting, it was obvious that Georgie and Jemma are experienced at teaching, as well as styling cakes (indeed, I recognised Jemma from a previous cake shop she used to work at!) They offer regular cupcake-decorating classes, as their Facebook page shows, and you can buy a ready-made cupcake kit, should you need to entertain any children over the next few weeks (or if you fancy a snack). It was lovely to meet other bloggers in Devon and Cornwall, and learn of their blogs and interests. Here we are after decorating our third cake; can you tell we’re bloggers? We talked to each other, too! 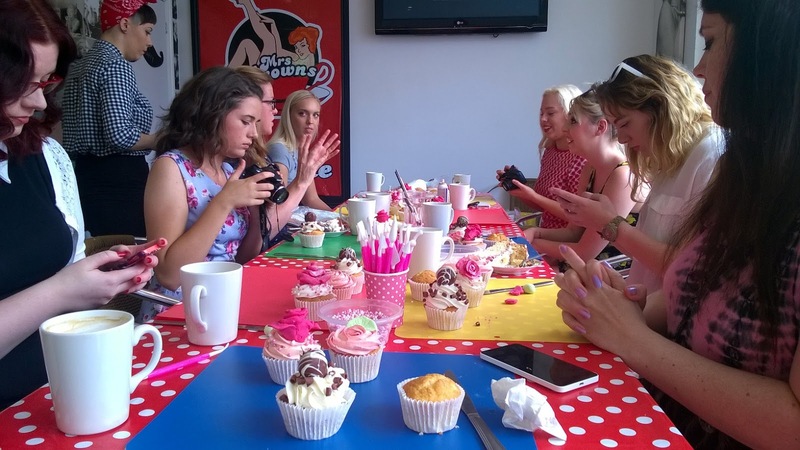 Do you meet up with other bloggers in your area? What do you get up to as you’re networking? Why not share your thoughts and experiences with other Size15Stylist readers?